Our vibrant hotel with pool is located just a few turns away from the E20 motorway. Why not take a dip in our indoor pool after dinner in our Köksbaren restaurant, or enjoy a round of golf next door at the Malmo Burlov golf club? We offer our guests a variety of activities when they stay with us. Delicious dining in our Köksbaren restaurant, relaxation by the open fire in our lobby, and a refreshing dip in our indoor pool, to name but a few. All guests also have WiFi access from anywhere in the hotel. Our hotel is located in the northern part of Malmo. From here you are close to Malmo city centre, with its shopping, culture and popular sights. Grab the chance to play a round of golf at the Malmo Burlov golf club, or visit Segevangsbadet pool, located close to our hotel. You can enjoy a good breakfast, cosy family dinners and enjoyable business lunches here. 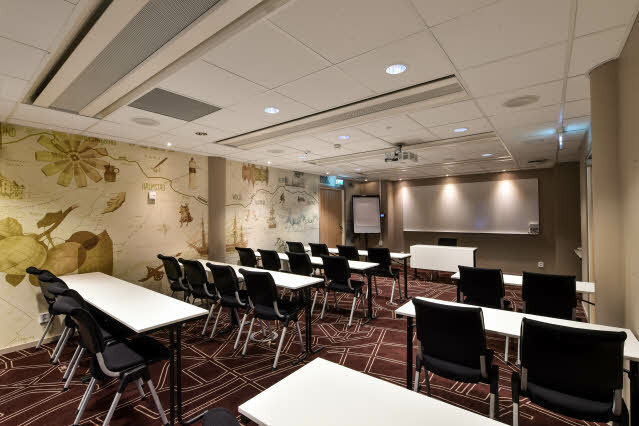 Scandic Segevång is a popular meeting place in the region, largely due to our flexible and modern meeting facilities with capacity for up to 200 people.